For the first time since 1977, one of the largest restaurant chains in the world, McDonald’s, is projected to close more stores than open in the United States. Over the past two years, McDonald’s has been suffering from decreasing revenue and drops in profit from stores worldwide. Increasing numbers of competitors in the United States, economic instability in Europe and strict food safety regulations in Asia have effected the performance of McDonald’s. Already in the first quarter of 2015, McDonald’s closed 350 stores performing poorly in Japan, United States and China hoping it will drive profits upward. McDonald’s CFO Kevin Ozan is implementing turnaround strategies to “win over the millions of burger-eaters.” The company’s approach within limited service fast food is labeled to be outdated and far from trending dietary factors. This generation, the Millennials, are prone to be more health-conscious and interested in key words like “organic, free range, locally grown” which are areas that McDonald’s is incoherent with. With McDonald’s lagging attempt to follow trends, competitors continue to grow like Chipotle which caused the biggest drop in sales to McDonald’s with its entrance into the limited service industry. McDonald’s has not officially disclosed the number of stores closing but it is speculated that a target of 700 restaurants with poor sales will be shutting down this year. To read more from grubstreet, click here. Creed stated at an investor and analyst presentation last month that the company should begin to use less preservatives and be more transparent about their use of ingredients. The objective to re-market fast-food into anything other than will be challenging as it has forever been perceived as fattening, cheap and unhealthy. Packaged food and beverage companies have already begun to reformulate their products by removing chemical ingredients. The transformation from junk food to ‘real,’ ‘fresh’ or ‘healthy’ food will be a tricky one. To read a few examples of QSR chains that are making moves towards this challenging recasting of their brands, click here. McDonald’s has had it’s biggest U.S. sales decline in 14 years, and is looking to take major steps to rectify the situation. The main step McDonald’s is taking to re- boost sales is to remove a good amount of items from its menu offerings. 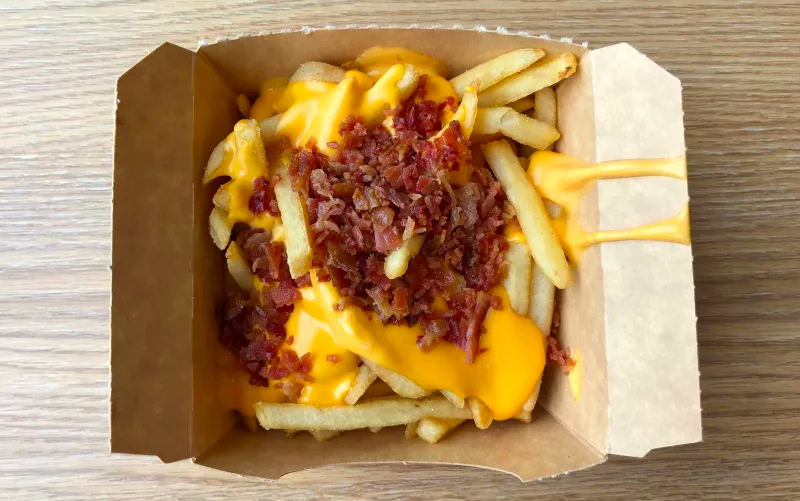 McDonald’s will also be getting rid of preservatives and will be offering customizable toppings. USA President of McDonald’s, Mike Andres, stated at an analyst meeting last month that the chain would be removing a total of eight items from the menu, offering 11 extra value meals down from the usual 16. Customers and investors alike have noticed that operations would run smoother and sales would stop being stagnant by drastically focusing and simplifying the menu. When there are too many menu items it becomes overwhelming and time consuming for staff members to learn all the procedures. Beginning this December, 150 Starbucks shops in the Portland, Oregon area will have the opportunity to test a new preorder app to avoid the daunting morning coffee lines. Linda Mills, spokeswoman for Starbucks, states that upon arrival the beverage will be sitting at the counter, and “If we need to remake your beverage to make sure it’s the right temperature, we’ll gladly do it.” Starbucks is not the only chain to incorporate preorder apps, large food-chains such as Pizza Hut, Domino’s Pizza, Taco Bell, Dunkin’ Donuts and McDonald’s are also in the development phase of testing these sort of new apps. The startup OrderAhead from San Francisco are assembling merchant networks and they work by acquiring a 5-10% cut of each transaction. Jeffrey Byun, former derivatives trader and founder of OrderAhead, states that “OrderAhead addresses latent demand. We’re enabling behavior that was not possible before.” The mobile-payment startup Square is also releasing a preorder all for restaurants in San Francisco and New York. Richard Crone, researcher at Crone Consulting, believes that in the next couple years every quick-service enterprise should have a mobile express lane in order to have a chance at staying in the business.